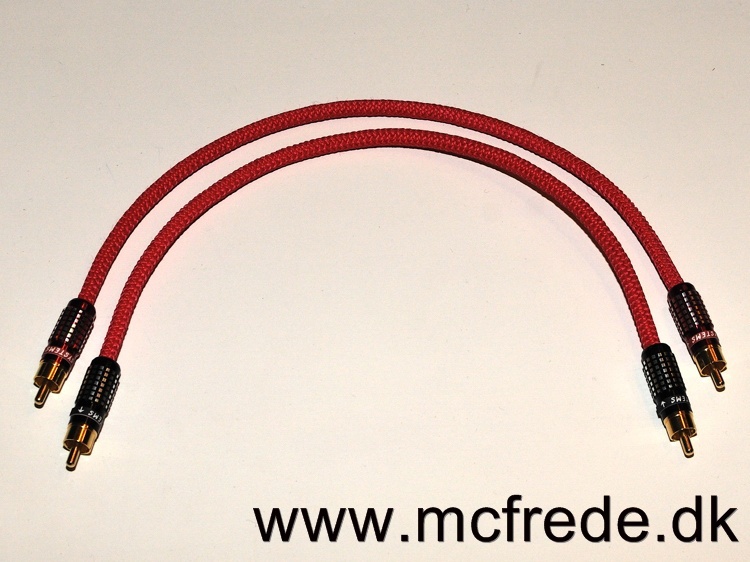 In this article I will show how to make a pair of shielded interconnects. Shielding the cables should reduce electrical noise from affecting your sound signal. 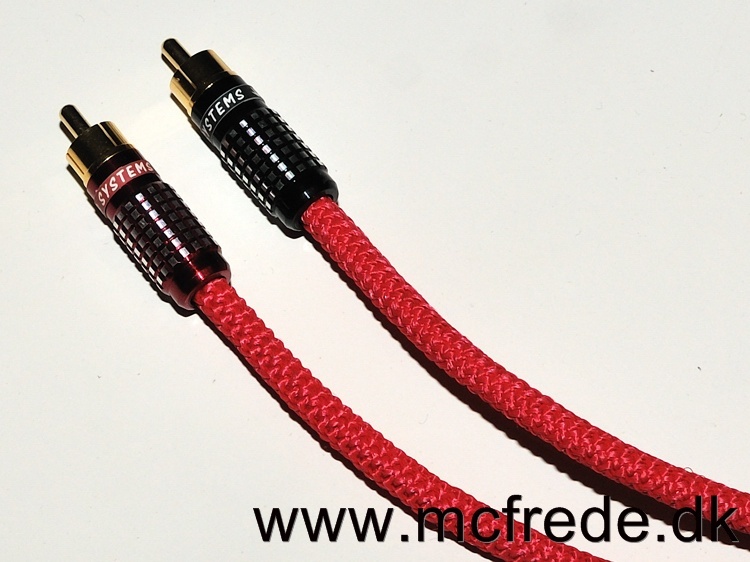 There are several ways of shielding your cables, but for this article I will utilize a very basic one. Instead of running two wires inside the cable sleeve (live and ground), I will run three (live, ground and shield). The shield is connected to ground on one end only, the source side (this is done to prevent ground loops that might otherwise cause that annoying hum you might have heard in your speakers at some point or other. Wikipedia on "Electrical Ground Loops". Lately I found myself looking at those "run-of-the-mill" interconnects I had running from my external soundcard to my headamp and thought to myself "YIKES". It looked awful and most definitely RUINED THE SOUND GOING THROUGH IT! First off, go to your "Bits N' Pieces" case and find yourself some suited RCA connectors. 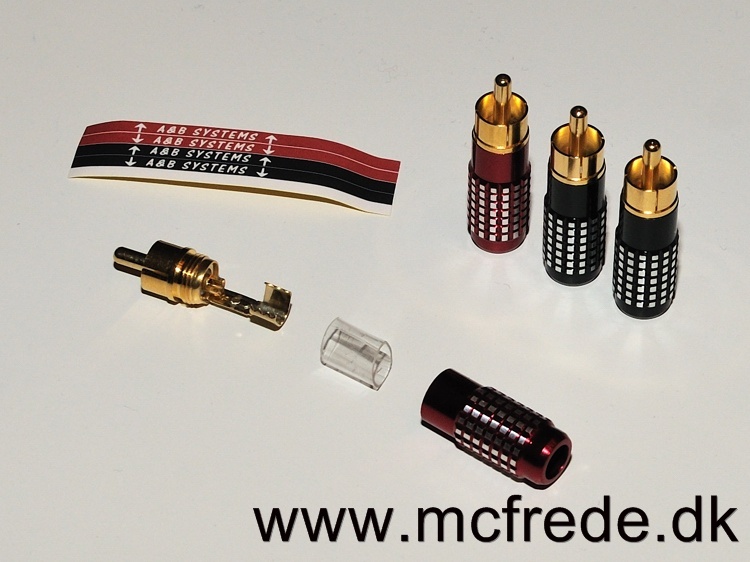 For this project it is important to orientate the finished interconnects correct so I chose these plugs as they came with stickers. Also, these stickers will tell music what way to go through the cables so they might not even work if connected wrong (just kidding). Since I only needed the interconnects to be ~30cm long I had no trouble getting the wire through the sleeving, but the longer you need to run the wires the harder it will be. Now the time has come to solder the wires FOR THE SOURCE END to the plug. In order not to have the wires untwist you can put a small piece of heatshrink on them. As you might remember (well, unless your memory is as bad as mine at least) you will have to solder all three wires to the plug. In this case both shield and ground go to the same point in the plug. You should end up here, all nice and tidy! Turning to the other end of the interconnect, cut the shield wire so that it will not touch ground in this end and then solder the other two wires. Screw the casings on and apply those VITAL stickers so that you do not forget which end is for what and you might just have made yourself a brand new (cheapass) set of shielded interconnects. 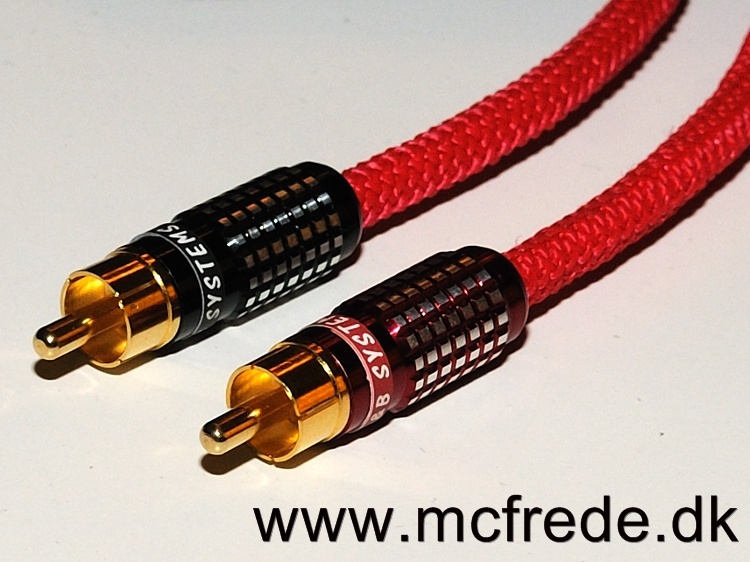 ...and with cables like this, your music is bound to sound even better!